Each module in the policy series provides a summary of federal and state statutes and regulations with hyperlinked citations and related materials applicable to open enrollment charter schools in Texas. After each summary is a suggested model policy designed to comply with current statutory and regulatory requirements that may be tailored to your school’s needs. 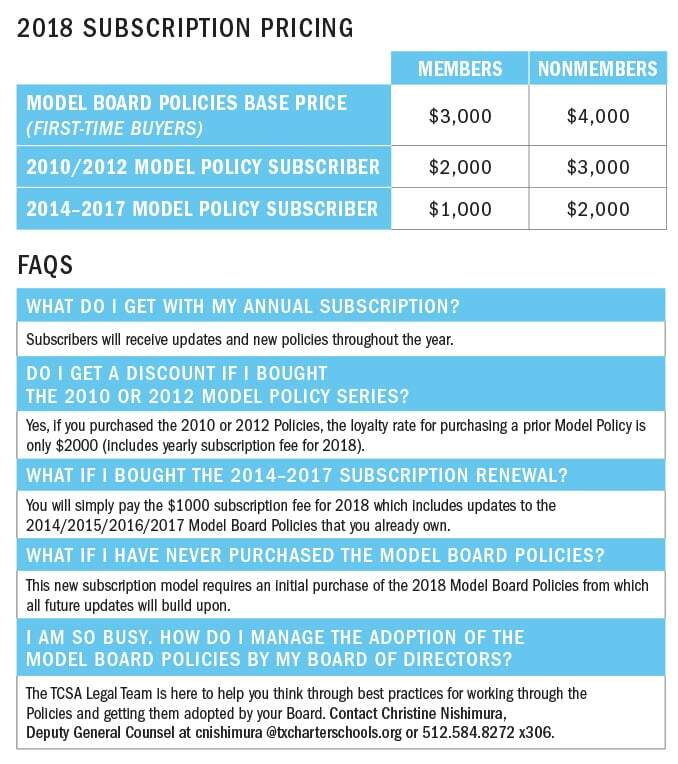 The modules below are included in the Model Board Policies Series. Order online through TCSA’s Quality Member Portal.